A replica of the Great Wall of China. A panda exhibit. A 7.5-acre water park. These are just three of the unique attractions planned for a new hotel and casino being constructed near the north end of the Las Vegas Strip. 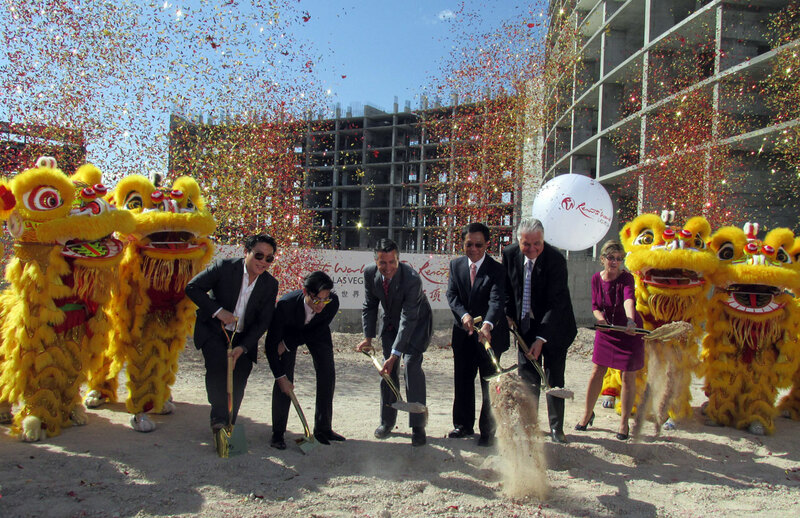 Yesterday, the Genting Group held an official groundbreaking ceremony for its latest project – the $4 billion Resorts World Las Vegas. This is the first megaresort to be built on the Strip from the ground up in nearly a decade. The Malaysia-based company bought the 87-acre site that was home to the former Stardust and houses the unfinished Echelon development from Boyd Gaming Corporation in March 2013. 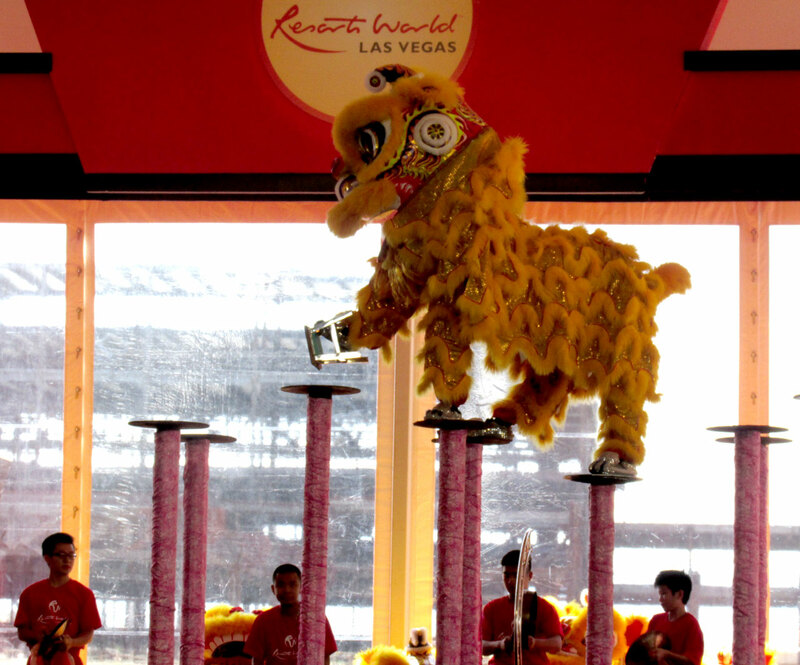 Along with the attractions mentioned above, Resorts World Las Vegas will have more than 3,000 hotel rooms, a 4,000-seat theater and a huge casino as well as extraordinary gardens, a top-tier nightlife venue and an assortment of restaurants serving multiple regional Chinese cuisines. Resorts World Las Vegas will be known in Chinese as “Yun Ding Zhōnghuá Shijie,” which means “Genting’s World of China.” It will showcase the country’s 34 administrative regions and 56 minority ethnic groups. “And it will not be just old China that visitors will see, but also the vibrant new China – a true representation of the importance of this ongoing and ever growing relationship across the Pacific in this century,” said Lim. For those not familiar with the Genting Group, the company got its start in 1965. Lim’s late father conceived of creating a temperate hilltop resort for people in the hot lowlands of Malaysia. Situated within an hour’s drive of Kuala Lumpur, the country’s capital, Genting Highlands Resort opened in 1971. Today, the Genting Group has casino properties on seven continents that host more than 50 million visitors annually. Plus, it’s a leader in the cruise industry and has investments in biotechnology, agriculture, real estate, power generation and oil exploration. 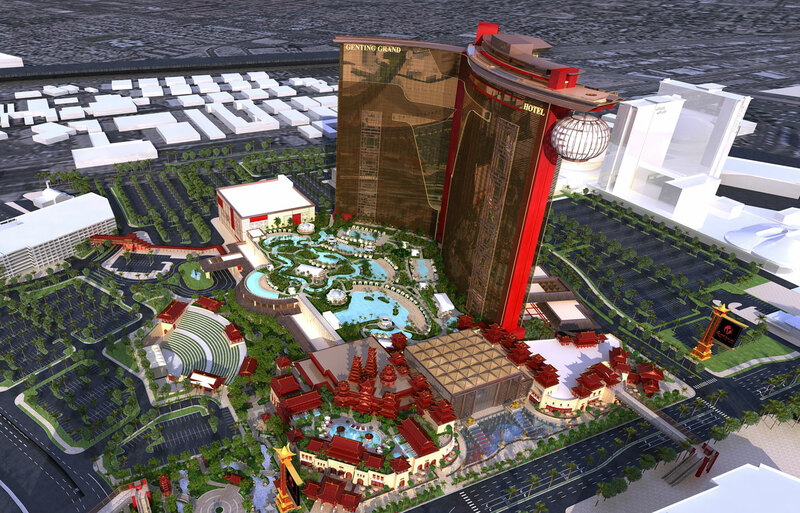 Resorts World Las Vegas will be a huge boon to the city’s economy. It’s projected to provide over 30,000 person-years (one person employed for one year) of direct and indirect employment during construction and 13,000 permanent jobs once in operation. Numerous dignitaries including casino mogul Steve Wynn, state officials like Governor Brian Sandoval and Clark County commissioners Steve Sisolak and Chris Giunchigliani attended the ceremonial groundbreaking. All of them were happy to welcome the Genting Group to the Strip. This was evident by the entertainment. A traditional troupe from San Francisco enlivened the event by beating drums and cymbals. After the speeches concluded, the world champion Resorts World Lion Dancers appeared. Dressed in bright yellow costumes, they playfully bobbed and weaved on and around the stage. Two of the lion dancers also amazed everyone by doing daring acrobatic feats on a series of little platforms. Resorts World Las Vegas is sure to fit in and further transform the north end of the Strip, while its Chinese theme will deepen and broaden the city’s tourism industry as a whole. The only difficult part will be waiting three years for its arrival. The first phase of Resorts World Las Vegas is anticipated to open in mid 2018.